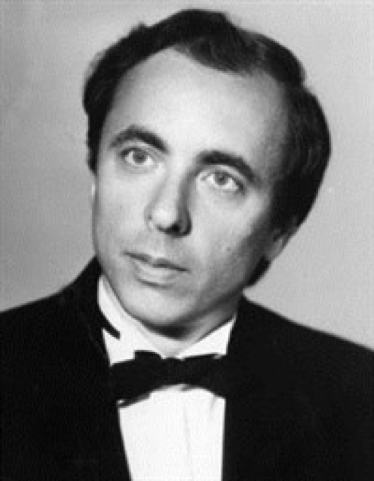 Igor Kotlyarevsky was born in Kharkov in 1953. In 1960, he entered Kharkov Special Music School where he studied with Faina Joffe and Victoria Krichevskaya. In 1968-70, Mr. Kotlyarevsky studied with Vsevolod Topilin. He graduated in 1971 and entered Moscow Tchaikovsky State Conservatory, where he was a student of professors Bella Davidovich and Sergei Dorensky. He graduated with honor in 1976. At that time, Alexander Egorov, an assistant to professor Konstantin Igumnov, also had an important impact on Igor Kotlyarevsky’s development. Their friendship lasted until Mr. Egorov’s death in 1991. He started his concert activities as a child; since then, Mr. Kotlyarevsky has given solo concerts and recitals both in Russia and abroad (France, USA, Japan, Germany, Korea). He combines his solo concert activities with performances in various chamber ensembles, also appearing as an accompanist. He has given a great number of concerts together with such instrumental performers and singers as Irina Arkhipova, Olga Borodina, Natalia Erasova, Taemi Kohawa, Anastasia Chebotareva, Dmitry Khvorostovsky, Elena Revich, Mikhail Gotsdiner, Alexander Brusilovsky, Vladimir Chernov, and others. He’s a prizewinner of several international piano competitions. He works at the Moscow Tchaikovsky State Conservatory since 1978. In 1991, he became a professor. Many of his students are prizewinners of the international competitions; they are successful performers and teachers. He regularly gives master-classes at different colleges and high schools of music in Russia, Germany, Japan, Korea. His solo repertoire includes works by Chopin, Schumann, Rachmaninov, Scriabin, Liszt, Medtner and other romantic Composers.